Salt has been around since before recorded history and is absolutely essential to our well being. Our bodies would not function without it. But the discussion rages on, 'to salt or not to salt'? Back Chat lays out the facts and figures. You decide!!! But if you still have lingering doubts or unanswered questions, post a comment on 'Back Chat' or email me at les@leslieback.co.za . I would love to hear from you. Salty problems beware! Salt (sodium chloride) – its chemical name, together with calcium, potassium and magnesium helps regulate the body’s metabolism. Salt enhances the flavour of food, brings out the taste and stimulates the appetite. At its most basic, salt is 40% sodium and 60% chloride, but this can vary in the origin and processing. A vital nutrient, salt helps to maintain water balance and blood PH as well as stomach and muscle function. The properties of Sodium Chloride. Sodium is what produces taste. Chloride is a source of chlorine, which amongst other things keeps drinking water clean and safe. It is important to note that sodium is also found in additives including sodium nitrite, sodium bicarbonate and monosodium glutamate. BEWARE THOSE JUNK FOODS RICH IN ADDITIVES. In the case of sea salt (solar salt) the water from the ocean is put into shallow pans and allowed to evaporate until salt crystals emerge. Today salt has over 40,000 applications from manufacturing to medicine. To most of us the main function for salt is in the kitchen. The daily-recommended level of salt for healthy adults and children above eleven is below 6 grams of salt or 2.4 grams of sodium. Babies below six months should have less than 1 gram of salt. Salt intake should also be adjusted for pregnant women and senior citizens. In Britain, America and South Africa, government watch dogs have reported that a big percentage of the population eat far more than the safe limits, sometimes as much as ten times the recommended limit. Why has the word safe crept into the equation? 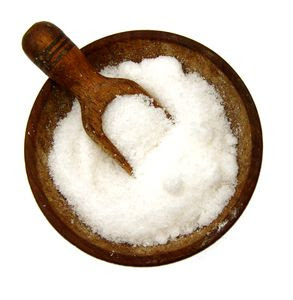 Salt is liquid retentive and plays a role in high blood pressure and hypertension. Apparently there is no evidence that salt causes high blood pressure, however cutting back on salt-intake may help the situation. People with kidney disease need salt-controlled diets. Liquid retention affects some women with menstrual and hormonal problems. In spite of the lobby that says you need only reduce your salt intake if you are hypertensive, doctors still warn of the dangers of too much salt in one’s diet. Some people say that the risks of ingesting too much salt are over-exaggerated. It is not surprising that many of these gainsayers are to be found hidden in the powerful vested interests in the food industry. As previously mentioned, sodium is found in many places besides the sea. The hidden factor, the culprit, lurking in junk foods, crisps, cereals, bacon, cheese, pickles and many others are all easily available. For many of us, our lifestyles are causing us to develop into a society of food junkies. People rely on junk food because it is easy and cheap. Obesity has become a worldwide problem and excessive intake of sodium is a huge contributor to the enjoyment of junk food. In trying to control your salt-intake when necessary, the following suggestions may help. Be sparing with sauces; soy sauce for example is very high in salt and monosodium glutamate. Beware of stock cubes. They are salt traps. Make your own stock if possible. Snack less. You will be avoiding the hidden salts. Rather enjoy celery sticks, juliennes of carrots, dried fruit and unsalted or raw nuts can be equally satisfying. Just a matter of changing habits. Include fresh fruits and vegetables in diets. Salt is an ingredient about which chefs feel very strongly. The Caviar of Salt – Fleur de Sel – is found in top restaurants as chefs everywhere discover its natural flavour enhancing qualities. This gem is also known as BRITTANY SALT. It comes from the clear pristine Celtic seas of Gue´rande in Brittany France. It is coarse grey sea salt instead of regular table salt. This brings fresh meaning to the concepts of flavour, seasoning and nutrition. French sea salt contains less sodium chloride than ordinary processed salt. Gue´rande sea salt is especially beneficial for your health due to its trace minerals and lower sodium content. Sea salt from Gue´rande is the yardstick by which sea salt is measured in France. It is considered their finest and is registered with the French Government exactly like fine wine appellations. 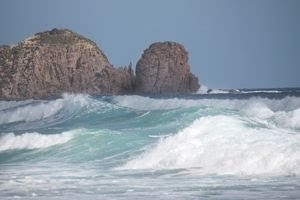 Other sea salts that are highly recommended are English Maldon, Ravide Salt from Sicily and Khoisan a superb sea salt from the shores of St Helena Bay on the West Coast of South Africa. A coarser sea salt is not ground as finely as table salt and therefore easier to pick up between your finger tips to control the crystals as you sprinkle over your food. Some chefs prefer the ‘no touching system’ and opt for pouring salt. An example is salt from specially perforated boxes of La Baleine sea salt - French again. Small dry hard cubes, pours easily, dissolves slowly, sharp tasting on front of palate, otherwise mild. Same as table salt with iodine added. Uses - Prevents goitre deficiency where seafood is not available. Dry hollow pyramids, dissolves quickly, moderately salty. Uses - General cooking, baking, brining preserving, finishing, all-purpose. Uses - Baking and roasting, finishing. * Kosher salt was originally developed to draw blood out of meat in accordance with Jewish dietary laws. Like table salt, it comes from mined rock deposits, but contains no additives, dissolves quickly imparting plenty of flavour. One tablespoon of kosher salt equals two teaspoons of table salt. There are many salts that are mixed with other ingredients to modify taste, celery salt, herb salt, garlic salt and others. There are also many salts from different countries that give those countries’ cuisine its distinctive flavour. When buying salt do so with discretion and consider an alternative to the easily available and inexpensive refined salt. Free running, but harsh in flavour without subtlety and lacking in the various textures and nuances of natural sea salt, which with its proximity to the ocean retains a profusion of trace elements and minerals. These remain providing an indefinable flavour as well as introducing various textures to complement the different stages when cooking. Think about salt as a culinary accessory and provide yourself with a veritable wardrobe of salt readily available when cooking. The great controversy is always whether to salt before or after. Cook's feel quite passionately about this. There can be no doubt that salt should be added while cooking to bring out, marry and accent the flavours as well as setting the colour when preparing vegetables. Sprinkling salt or placing a little on the side of your plate is fine, no cook can be expected to completely gauge ones taste in salt. However it is a good idea to first taste the dish before you add the salt. When preparing stocks and sauces that need reduction, add salt with care. Testing Egg Freshness - Place an egg in a cup of water, add two teaspoonfuls of salt. A fresh egg will sink, a doubter will float. Poaching Eggs - in salted water helps the whites to set. Peeling Eggs – will peel more easily if boiled in salt water. Preventing Browning - Apples, pears and potatoes will retain their colour if dropped in cold, lightly salted water as they are peeled. Washing Spinach – Spinach washed in salted water ensures clean leaves. Cleaning Stained Cups - Rubbing with salt will remove tea or coffee stains from cups. Cleaning Refrigerators – The inside of the refrigerator will smell sweeter if cleaned with salt and soda water. It will not scratch the enamel. Cleaning Sink Drains - Pour strong salt brine down the kitchen sink regularly to eliminate odours. Cleaning Coffee Pots - The residual bitterness left by brewing coffee in percolators or other coffee pots can be removed by filling with water, adding four tablespoons of salt and boiled or percolated as usual. Cleaning Dried on Eggs – Don’t struggle with eggy dishes. Sprinkle salt on dishes right away: they will be easily cleaned when you have time. Cleaning Brass - Mix equal parts of fine salt, flour and vinegar to make a paste. Rub the paste on the brass and leave for an hour or so. Clean with soft cloth or brush and shine with a dry cloth. Cleaning Grease Spots on Rugs – Some grease spots can be removed with a solution of one part fine salt and four parts alcohol. Rub hard, but be careful not to damage the nap. Removing Wine Stains – Remove as much of the spilled wine as possible and immediately cover the wine stain with salt, later vacuum the spot and rinse with cold water. Removing Rings From Tables – White rings left on tables can be removed by rubbing a thin paste of salad oil and fine salt on the actual spot with your fingers. Wipe it off after an hour or two. Restoring Sponges – Soak them in cold saltwater after they are washed. Removing Mildew or Rust Stains – Moisten affected spots with a mixture of lemon juice and salt. Allow the item to bleach in the sun and then rinse and dry. Fixing Sticky Irons – Run the iron over a piece of paper sprinkled with salt. It will remove rough and sticky spots. Gargling – Stir ½ teaspoon salt in a large glass of warm water for use as a gargle for sore throats. Bathing Eyes – Mix ½ teaspoon in half a litre (one pint) of water and use the solution to bathe and refresh tired eyes. Reducing Eye Puffiness – Mix one teaspoon of salt in half a litre (1 pint) of hot water and apply pads soaked in the solution on puffy eyes. Relieving Tired Feet – Soak aching feet in warm water to which a handful of salt has been added. Rinse in cold water. – After bathing or showering and before drying give yourself a massage with coarse dry salt. It removes dead skin particles and aids the circulation. A cheap and easy way of exfoliating your body. Try and imagine a life without salt. As vital and integral as it is to our well-being, it remains a villain lurking behind the facade of seemingly harmless foods to trap and betray us. You decide what is best for you and your family and hopefully avoid unwise and injudicious choices.